A medical mystery involving a Canadian man was solved when doctors realized he had been taking excessive amounts of vitamin D for more than two years. The man’s experiences are detailed in a new case study that was published Monday in the Canadian Medical Association Journal. According to the case study, the man’s doctor sent him to a kidney specialist after discovering that the 54-year-old was producing nearly four times the normal level of creatinine, a waste product often measured to determine whether kidneys are functioning properly. The doctor suspected that the excess creatinine may have been caused by the six to eight hours a day the man had recently spent sunbathing while on a two-week vacation in Asia. However, his creatinine levels had actually increased significantly after he returned to Canada. Tests ordered by the specialist showed that, in addition to the creatinine issue, the man had also developed hypercalcemia – an overabundance of calcium in the blood. When doctors started asking him more detailed questions about his health, they discovered the true cause of his issues. The man said that he had been seeing a naturopath who had advised him to take eight drops of a specific vitamin D supplement, even though he had no documented medical reason for needing it. Vitamin D is known in some circles as the “sunshine vitamin” and is typically prescribed to improve bone health. The case study notes that there are also claims it can increase cardiovascular health and reduce infection risk, although there is little scientific basis for these assertions. The vitamin is only available in significant quantities through a handful of foods, including salmon and swordfish. It is also produced by human bodies when they are exposed to sunlight – something which can be a challenge in Canada, particularly in the winter. As a result, many Canadians take vitamin D supplements. The man in the case study had been taking the supplement for 2.5 years, sometimes taking as many as 12 drops a day. He had also accidentally been purchasing a supplement containing twice as much of the vitamin as his naturopath had recommended. This meant that the man was typically receiving between 8,000 and 12,000 international units (IU) of vitamin D per day. 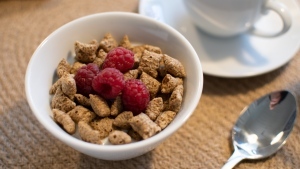 Osteoporosis Canada recommends a maximum daily vitamin D consumption of 1,000 IU for most low-risk adults and 2,000 IU for high-risk and older adults. 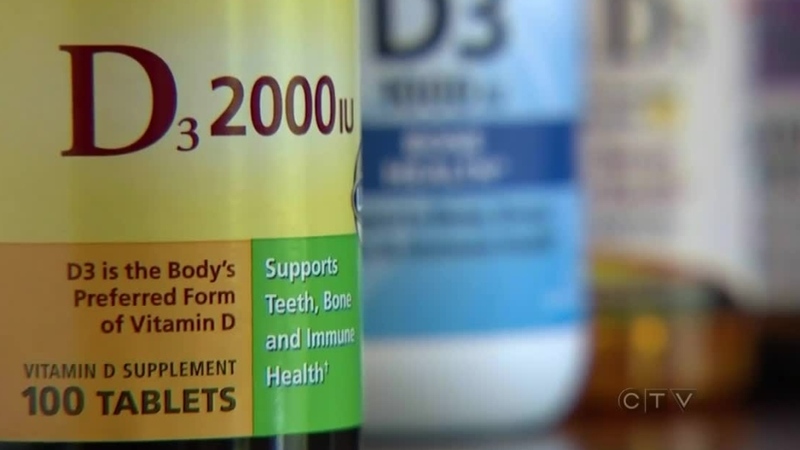 “His thinking was that more vitamin D would result in stronger bones, and that is not necessarily the case unless someone has documented vitamin D deficiency,” Dr. Bourne Auguste, one of the case study’s authors, told CTV News Channel Monday. The man said his naturopath had never warned him about vitamin D toxicity, which can cause hypercalcemia, which in turn can weaken bones and cause kidney stones, among other common symptoms. Vitamin toxicity occurs when a person takes more of a vitamin than their system can handle. Tens of thousands of cases are reported each year in the U.S.
“High doses of any vitamin … can cause toxicity,” Auguste said. Doctors ordered the man to stop taking all vitamin D supplements and cut calcium-rich foods out of his diet. He was also prescribed hydroxychloroquine pills. The man’s calcium and vitamin D levels returned to normal after about a year, although he continues to live with stage 3 chronic kidney disease. “Patients and clinicians should be better informed about the risks regarding the unfettered use of vitamin D,” the case study’s authors wrote, adding that new Canadian guidelines for the vitamin should be considered.